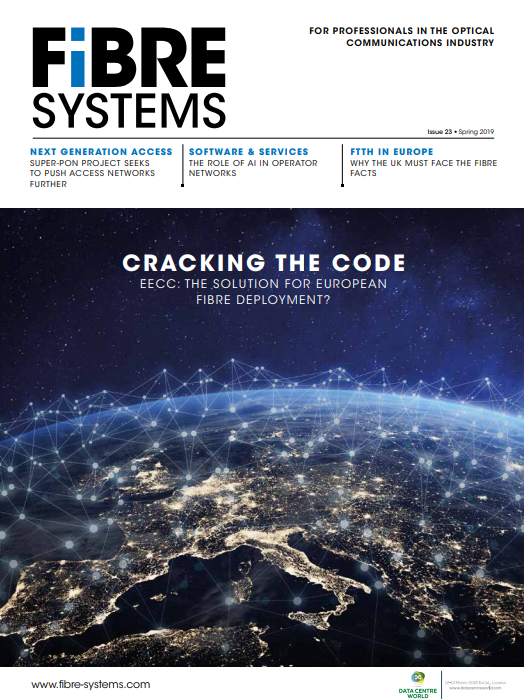 Simple drop technologies for easy, fast and cost-effective fibre-to-the-premise (FTTP) installations could, if more widely adopted, increase the rate of fibre deployment in Europe, according to the head of Fujikura's fibre optic division. Fujikura says it has fine-tuned a high-performance low-friction cable for duct applications which can be pushed from the basement of the building to the individual subscriber. The low friction coating and optimised mechanical design minimises the physical resistance of this process. Field installable terminations allow minimal cable inventory. 'Our key strengths are in aerial deployments and applications which utilise low-friction cables for installation into ducts,' said Simon Richardson. 'Our FTTP technologies are field proven to minimise both deployment costs and installation time. They also reduce the costs of subsequent network growth, as new customers take up services. Since the cable is not pre-terminated the engineers have complete flexibility to adapt to the deployment situation in the field,' added Richardson.